Wrong. The buyers in Korea are absolutely hungry for enthusiast and sport-minded vehicles. There are tons of them on the road there, and that's why the import brands (Germans) have been quite successful in recent years, and is another reason spurring the continued development and expansion of things like Hyundai's N sub brand. Yes, the aging executive generation is still being driven around in these K900/K9's and Equus/G90's like limousines, but that doesn't mean they want to waft on an oscillating cloud like Lincolns and Cadillacs of yesteryear. Two things. First, the statement that they generally like softer-riding cars is not incorrect.....traditionally, that has been the case, although it does not preclude the fact that, yes, some South Koreans do like sport-oriented models. Second, since you bring up the subject of plush Caddy and Lincolns of yesteryear, the 1Gen K900 sold here actually had a number of similarities to them. I won't comment on the new 2Gen, of course, until I see and find out more about it....we won't be able to do that in just one thread. Phaeton didn't work, I don't think a 2nd gen K900 will work no matter how good of a large sedan it can be. True, the Phaeton did not fly in the American market......in general, it was in a higher price-class. At the time it it was marketed here, W12 models could list for 90K or more.....which would translate probably into significantly more than 100K today. I may turn out to be wrong, but I don't think that even the next-generation K900 will sell for anywhere near that much. If it did, that would make it more expensive than the Genesis G90. Could fleet sales be any motivation behind this? I see the Equus, G90 (just started seeing them recently) and K9000 at LAX all the time with TCP stickers, meaning they're with a limo company. My guess is that it will be more sport oriented than the G90. Where the G90 is most like the Lexus LS, the K900 could easily be tuned to be more like the BMW 7 series. KIA is supposed to be the sportier side of Hyundai/KIA/Genesis. The upcoming G70 will (supposedly) take care of the sport-oriented market, but not necessarily for those who want it in a somewhat larger exterior/interior package. Even then, however, you have the G80 Sport. The "sport-oriented market" is not confined to a certain size/price segment. It is applicable at nearly every level. Phaeton was priced too high, weighed too much and was sluggish, and was/is one of the most unreliable trouble prone sedans on the road. 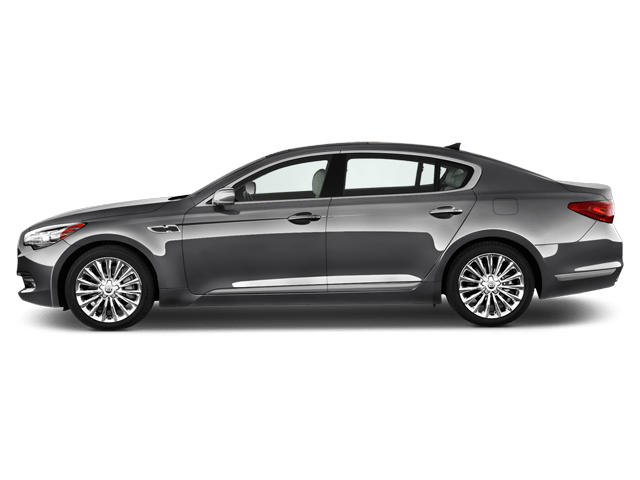 I think if they price the K900 less then the G90 and still give it a nice design, good options it can find a niche, much better then the Phaeton. i thought hyundai's gameplan is for hyundai to be mainstream, kia to be sporty, and genesis to be luxury. obviously the soft luxobarge original k900 didn't fit so maybe this will be quite a bit more buttoned down. Hmmm... I'm skeptical the K900 will work second time around. The higher up the price echelon, the more the badge is important. But there's one thing I learned with the Stinger. Never say never. ....but I'm not sure this makes much sense. The K900 is for domestic consumption in South Korea, so it will be redesigned regardless of its poor sales performance in the US. Nothing LOL about it. One cannot some to that conclusion (South Korea only) strictly by the article. However, If that is indeed the case, then, yes, it makes somewhat more sense. I'm not referring to the article, it is not knowledgeable. Looks like Kia's teasing out the 2019 refresh. Almost the same side profile as the existing model but looks a little more sleeker. i think there's more differences there from the curved down front end to the curved up end.